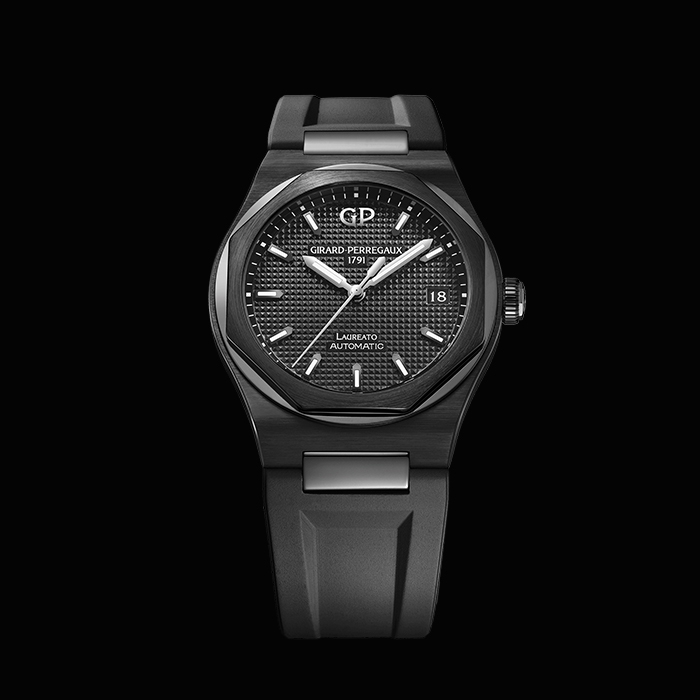 girard perregaux | 13'500 € Tax inc.
For the first time in its history, the Laureato is welcoming a new version entirely clothed in black ceramic, the Laureato 38mm Ceramic. 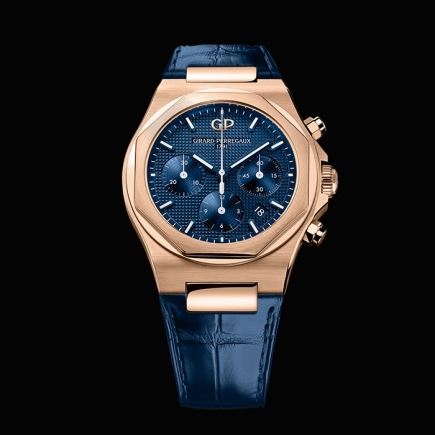 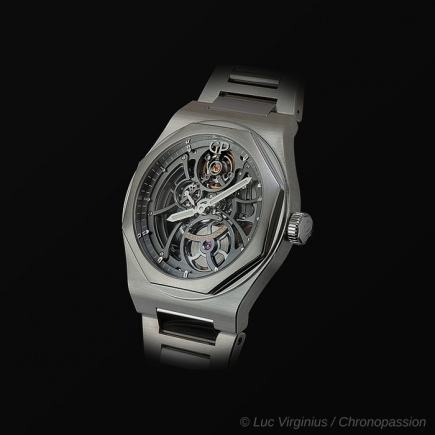 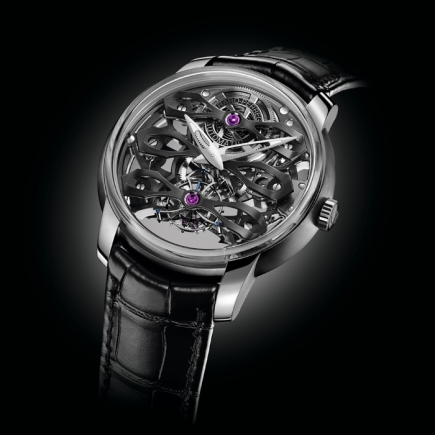 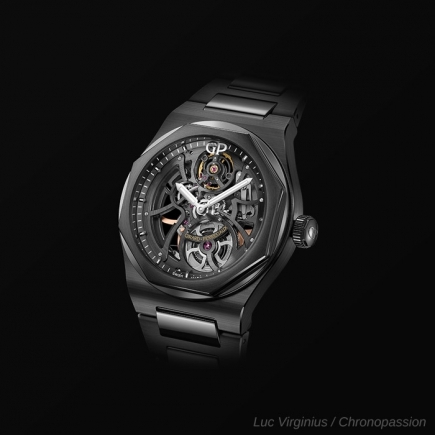 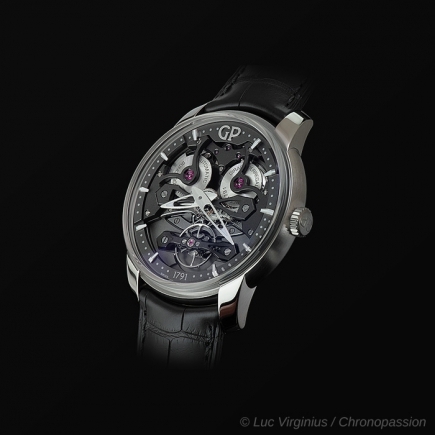 Girard-Perregaux is thereby introducing its emblematic model to the rich world of this material. 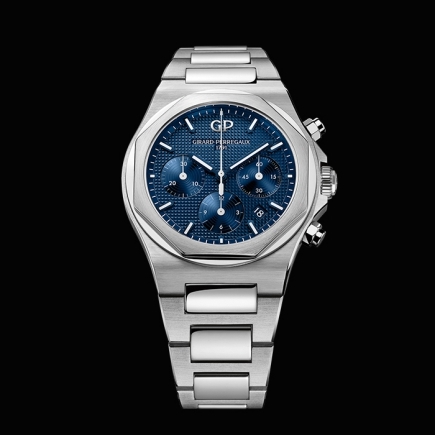 Thus attired, the iconic Girard-Perregaux casual chic watch takes a walk on the dark side, but only to further enhance its charisma and its strong presence. 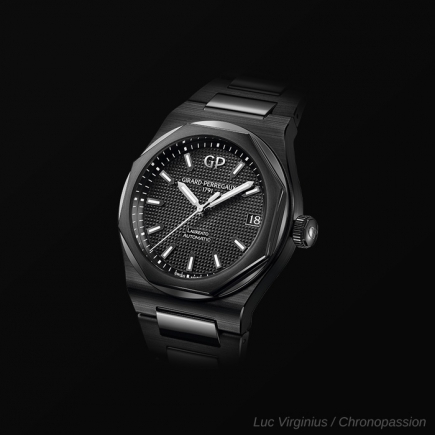 In donning a ceramic mantle in the darkest shade of all, the Laureato once again displays the strength and relevance of its design, capable of multiple mutations through time in terms of both size and materials. 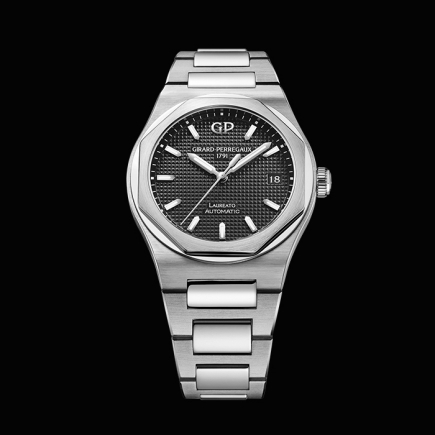 Whether worn by a man or a woman, the Laureato 38 mm is equipped with a single movement, the GP03300. 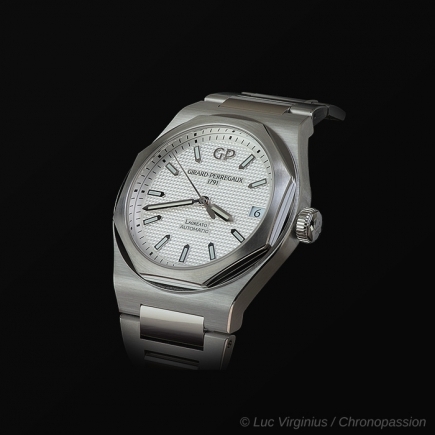 This mechanical self-winding calibre is entirely manufactured by Girard-Perregaux. 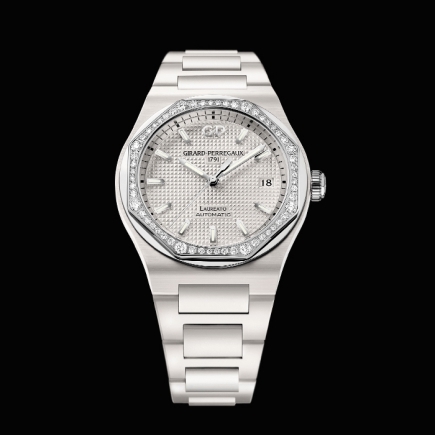 Precise, reliable and driving indications of the hours, minutes, seconds and date, it adds even more to the versatility and prestige of the Laureato 38 mm.